When you sit down and really think about it, there are not really a lot of options when it comes to gaming peripherals. While it is easy to find a mouse with more than 3 buttons, getting the quality, functionality, and software to back it up narrows the field to only a handful of choices. 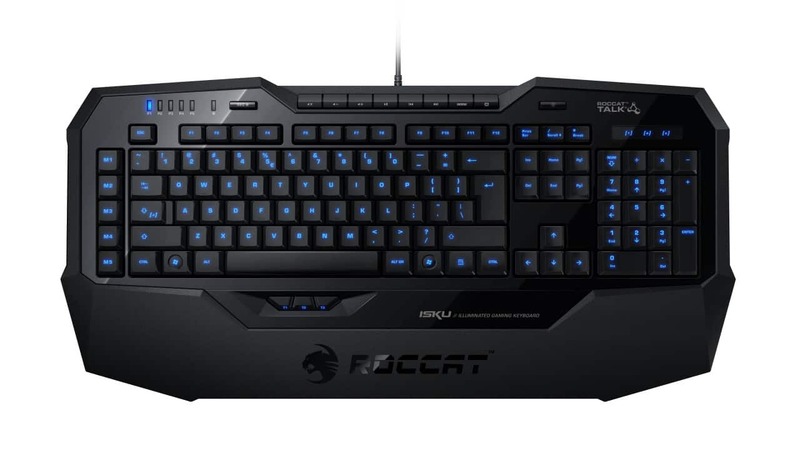 Well ROCCAT has desided to increase those choices in the US with their German Engineered hardware. I will be completely honest with you. I looked through their material at the ROCCAT site and I am not especially impressed. They have their own spin on a lot of features gaming peripherals in the US already have like illuminated keys, on-the-fly marco programming, multiple keyboard/mouse profiles, on-the-fly DPI switching, etc. While that did not impress there are three features ROCCAT has and only ROCCAT has that caught my attention. ROCCAT keyboards and mice have audio feedback when you switch DPI or profiles. I don’t mean a “beep”, but an actual voice that tells you what you just changed. This can be very helpful in a firefight when you don’t have time to double check your settings. The ROCCAT Isku keyboard above can also inform you when things on a battlefield respawn via a timer. Being able to know the chopper has respawned thousands of meters away can be very helpful. The final piece is their peripherals can communicate with each other using ROCCAT Talk. The description of this feature on their site is vague, but there is potential. One example would be turning off certain keys when you press a certain button on your mouse to avoid accidentally doing something you did not intend. No more accidental grenade tosses when you were looking for the reload button just after a fire fight. Even if the ROCCAT Talk feature doesn’t do what I think it does, I am still curious about what they can do with it. Either way we will see ROCCAT at the 2012 CES to debut their rather large library of items starting with the Isku keyboard and Kone+ mouse. Expect some cool video from our compadres at Futurelooks. I heard they are popping by to see them in person. The full press release is below. Sporting the claim Get some serious German engineering into your game, ROCCAT Studios the Hamburg, Germany-based manufacturer of professional PC gaming devices and equipment today announced the US launch of their gaming device line. Already the brand of choice for legions of pro gamers in Europe and Asia, ROCCAT intends to fill a void in the crowded US gaming peripherals market by offering products with new, highly-innovative features devices that take advantage of the some of the worlds most advanced gaming engineering. Pro gamers in other parts of the world already know what our gear can do, says Ren Korte, ROCCAT Founder and CEO. Nows our chance to share that excitement with American gamers. Were bringing a bold innovation to the table that sets us far apart from other gaming companies. 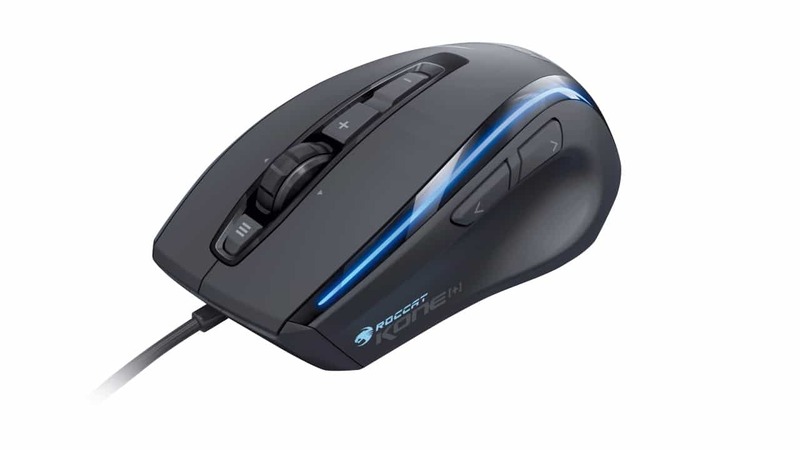 Korte sees ROCCAT as a premium brand built around extreme style and hyper-advanced, German-engineered performance. ROCCAT will make its US debut at the Consumer Electronics Show (CES) in Las Vegas, January 10-13, 2012. To mark the event, the company will unveil two of their flagship products the ROCCAT Isku Illuminated Gaming Keyboard and the ROCCAT Kone[+] Max Customization Gaming Mouse. Plus, the company will show off ROCCAT Talk a unique technology that lets compatible devices, like the Isku and Kone[+], talk to one another giving gamers a host of unprecedented advantages that let them command easier and win more.